As 2017 comes to a close it’s a time for totting up stats and taking a look at what we’ve managed to achieve over the course of the year. With regards the Peter Mackay Archive, we have every reason to feel pleased with the progress being made. We started the year by managing to raise a whopping £8,100 with your generous support through our crowdfunding campaign. 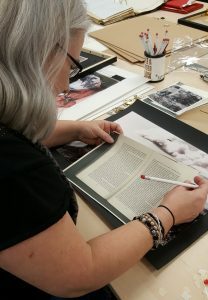 Now, at the end of the year, we estimate that we’ve catalogued 40% of the collection and we have two dedicated volunteers who are helping us to tackle the rest. 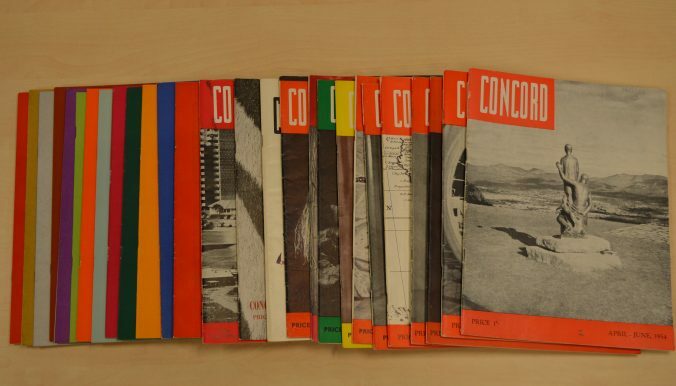 The money we raised through the crowdfunding campaign funded an initial batch of digitisation that took in some 2,000 photographs and 60 political journals. This stage of our project was successfully completed and we are working through a mighty amount of metadata in order to make this material available to JSTOR’s Struggles for Freedom resource as soon as possible. 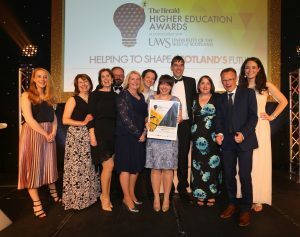 Additionally, we were delighted that our crowdfunding campaign won a commendation for ‘Campaign of the Year’ at The Herald Higher Education Awards on the 53rd anniversary of the independence of Malawi – a fantastic achievement that wouldn’t have been possible without our supporters, so thank-you from the crowdfunding team here at the University to everyone who contributed to the success of that campaign, no matter what form that contribution took. Rejoin the blog in the new year to hear more about some of Peter Mackay’s inspirational friends who played key roles in the development of Malawian politics and to explore how Tanzania got a new capital city. 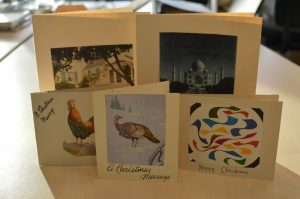 Until then all that’s left for us to do is wish you all a very merry Christmas. By his own admission Peter Mackay couldn’t resist the ‘bugle call of work to be done’, even at Christmas time, and his journals often make no distinction between the 25th December and any other day of the year, using it as another opportunity to lay out his thoughts on various social, economic and political aspects of life in Southern Africa – but even Peter Mackay celebrated with a meal in the company of friends and had a lie in on Boxing Day. Happy holidays! 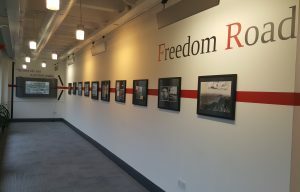 After a successful opening event last Monday night, the Peter Mackay Archive exhibition – Freedom Road – is ready and waiting for you to come and explore. 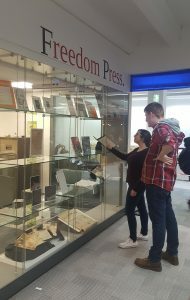 Situated on the first floor of the Library, on the walls in the foyer and in the cabinets round by the Archives and Special Collections reading room, the exhibition will be open Monday-Sunday and run until 6th April 2018. Freedom Road tells the story of the dusty road from Bechuanaland (modern day Botswana) to Northern Rhodesia (Zambia) – the Africans who took the journey, the men who navigated the way, the land that they travelled through and the reasons why this was undertaken. 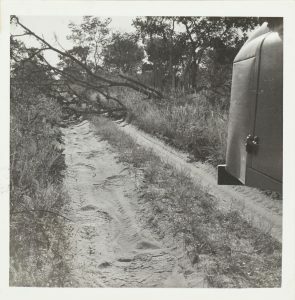 The narrative is told exclusively through Peter Mackay’s photographs and his own words taken from We Have Tomorrow : Stirrings in Africa 1959-1967. The exhibition also displays material from the publications previously discussed in this blog – from key volumes to material from ‘the making of’ and lost items imaginatively recreated from evidence in the collection. 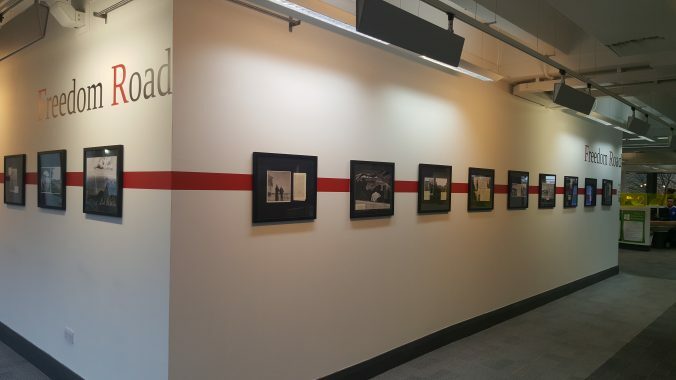 So if the likes of Tsopano, Concord and Malawi News had previously peaked your interest then come along to the exhibition and see some examples in the flesh and explore the politcal backdrop they provide for the rest of Peter Mackay’s story. Our congratulations to the students who worked on the exhibition! It really is fantastic to see the archive material used in this way and to have parts of Peter Mackay’s story slowly uncovered. 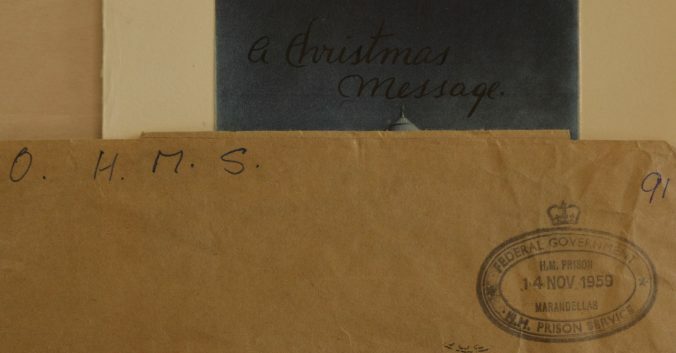 Many thanks, too, to our crowdfunders – the digitisation of the photograph albums enables us to exhibit with ease and will really help to open up access to the collection. 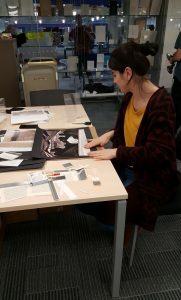 Our exhibition students have been busy in the archive these last few weeks, selecting their material for display. Come along to the University Library from Friday 24th November to hear more about banned magazines, dusty roads and unsung heroism. This is the first time we will be using our breathtaking, vivid photographs from the Peter Mackay collection since digitising them over the summer so we’re very excited to see all the hard work of our volunteers and the generosity of our crowdfunding supporters pay off! “Pressure is definitely on now to get things ready in time, I don’t think any of us truly realised even with a small exhibition how much was involved. Dealing with third parties, getting deadlines organised… lots of learning for us! 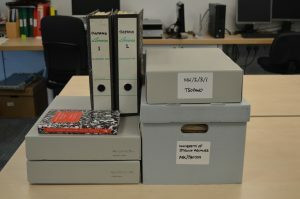 We’ve had a busy and productive summer with the Peter Mackay archive – cataloguing, digitising and preparing material to be given to JSTOR’s Struggles For Freedom resource which makes its material open to higher education institutions in Africa and which we hope will allow our collection to reach new audiences and encourage research both far and near. More on that soon – now it’s time for an update closer to home! We have an exciting project underway at the University itself. 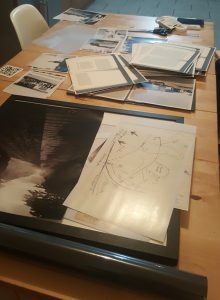 A group of third year students on the Interpretation and Exhibition Design module are using the Peter Mackay archive to mount an exhibition, choosing their own themes and design drawn from what caught their eye within the collection. 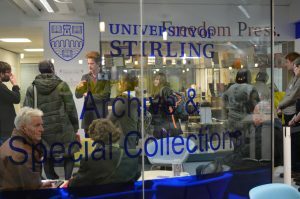 The exhibition will be presented in the Library from the 24th November – 6th April so if you’ve wanted to look at the collection and didn’t know where to start, this would be a wonderful opportunity to catch a glimpse of what the collection is all about. 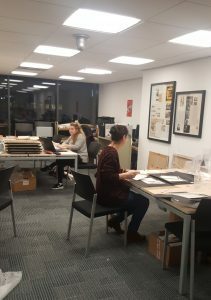 Over the next couple of weeks, this group will be sharing some of their experiences – both with the technicalities of mounting the exhibition and with exploring the archive – here on the blog on Friday afternoons.